Byron’s excellent Pedigree is proving to be a great asset to Damukyan. He is producing some lovely kittens. Byron is maturing very well. 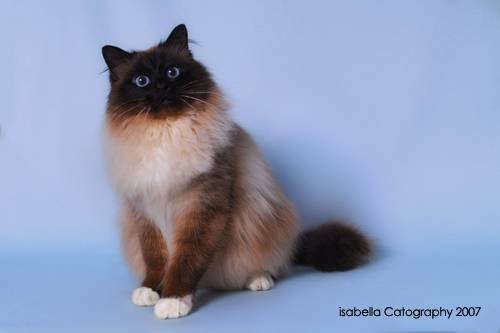 Fhoenix, a repeat mating between Damukyan Ms Celeste and Tshinta Choclat Oracle is a lovely Chocolate Point boy. 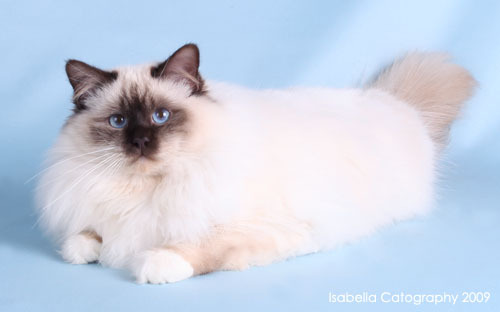 His coat texture is excellent as are his Chocolate Point markings. A very promising future stud for Damukyan.